Bring in warmth through wood: Look at how the natural wood color brings an element of warmth to the room. The reclaimed imperfections add interest, while the rich honey tones offset the other more stark finishes. Exposed brick as art: It should be a sign to us all that it's near impossible to properly hang artwork on exposed brick. Let the brick be the art. 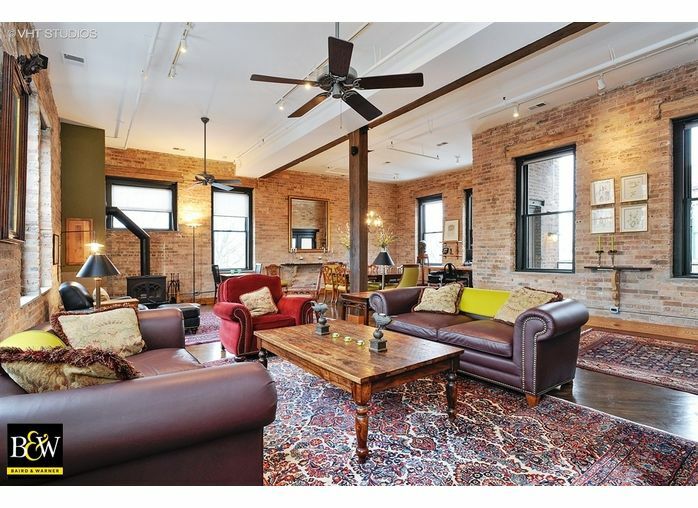 After all, what really is more beautiful than a gorgeous wall of exposed brick? 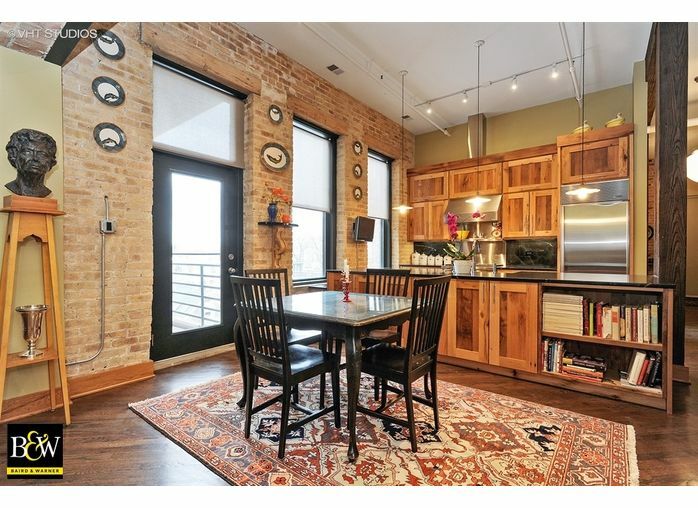 Keep a loft, a loft: Lofts aren't for everyone. Exposed HVAC and wires, walls that don't rise to ceiling height, high ceilings, oversized rooms--it all goes with the territory and it's a mixed bag. What's so cool about this property is the way the soft, elegant decor plays off the industrial finishes instead of adapting them. Aside from the property, Bucktown is hotter than ever. With record lows when it comes to inventory and market times, it's easier to stomach $799,000 for a two bed, two bath. Newer PostJust sold in Uptown!